Big Heavy World brings Vermont musicians together — we know that if they know each other, they'll help each other succeed. Some people call this social capital. We call it a party. Or a Music Summit. We know everybody measures success differently, and that's ok. But that doesn't mean everyone knows the straightest path to success. Or that there is a path. We get musicians together to share their experience and tell the stories that got them closer to their goals, sharing wisdom that everybody benefits from. 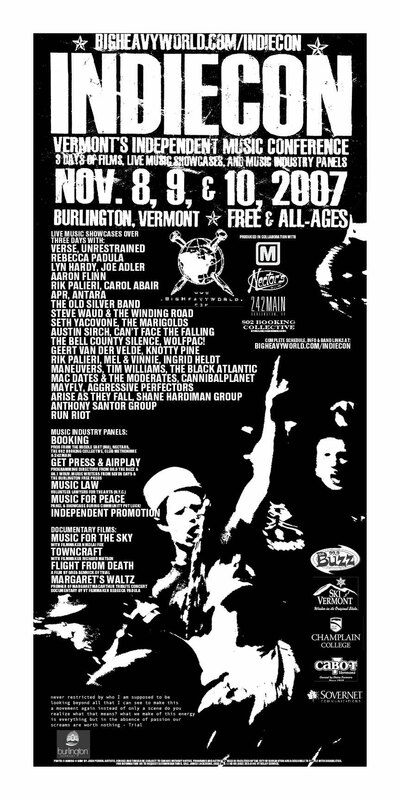 Keep your eye on our Rocket Shop Live at Main Street Landing concert series - you'll find a Musicians for Musicians panel before each live performance, a peer-to-peer mind meld for Vermont musicians. 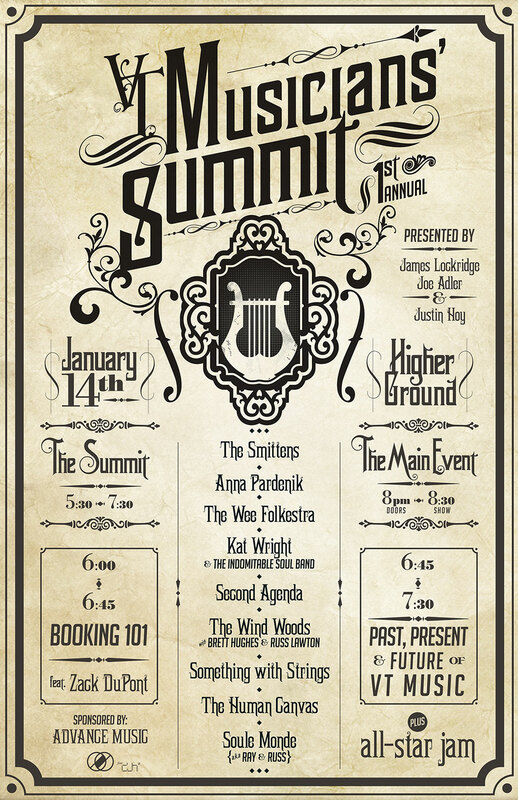 Planning has begun for a 2016 Music Summit; look for Big Heavy World to be teaming up with musical friends to bring the magic back (see pics from the first summit, below). 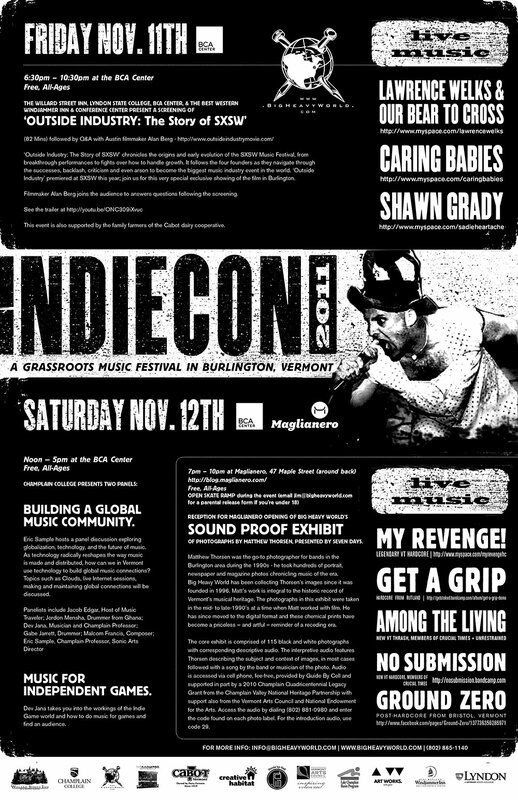 IndieCon, our independent music festival with live music, film, and presenters, blasts out of spacedock every few years, too. You never know when those jets will ignite.